HAVE YOU SEEN OUR BILLBOARD YET? If you're traveling south of Brandon on the #10 highway, have you noticed our new semi trailer billboard! So far the feedback has been fantastic. 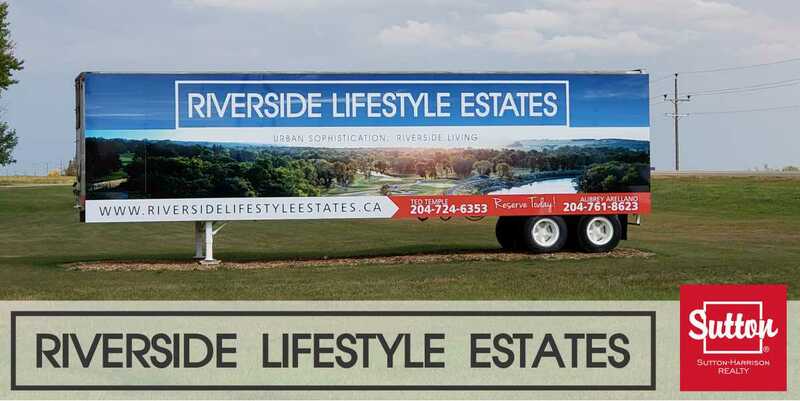 It's our way of reminding the travelers that are coming and going from Brandon, that Riverside Lifestyle Estates is the place to be. The next time you're driving that way, and if you're a passenger with your phone handy, take a quick picture of our billboard and post it to your Facebook or Instagram account with us tagged. For that nice little gesture we'll enter your name in to win a Sutton-Harrison Realty prize pack!